Metro Car Removal is more than a quick cash car sale. We offer all the services that you need to remove and Dispose of your Junk Car at no cost. Get good “Cash for Junk Cars Sydney” today. Give us a call, and we’ll be there to buy it! Metro Car Removal buys cars within minutes of vehicle owners letting us know they have a Junk Car for Sale. With the make, model, age and condition of the vehicle, our Car Appraisers can provide vehicle owners with an accurate Cash for Junk Cars quote. Our quotes range from a hundred or two dollars to up to $7000 for Junk Cars. • The weight of your vehicle – SUVs, Trucks, Vans & 4x4s weigh more, so you can expect the steel of the vehicle to bring in a higher cash amount than that of a lighter vehicle like a car. • The size of the auto – The larger the size of the vehicle, the greater the value of the Car Recycling value of the vehicle. • The parts and parts under the hood – Parts under the hood add up to value in themselves whether being recycled or refurbished. • The interior components – some Scarp vehicles may have interior components like dashboards, etc. that can be recycled. Others may not. Metro Car Removal recycles and refurbishes the interiors of a vehicle to get even more value from your auto when recycling the vehicle. When Metro Car Removal picks up your vehicle to recycle, you can expect an Eco-Friendly Car Recycle. Our Auto Wreckers have a wrecking yard that is state of the art. With the combination of experience and advanced tools, we can provide our customers with Auto Wrecking that gets the maximum value from your vehicle while leaving the smallest carbon imprint on the environment. 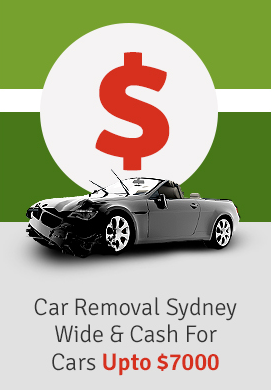 A.m. or p.m., Metro Car Removal will come to your location in Sydney to provide you with a Free Car Removal. We are the company in town that works around the clock to provide you with fast and convenient Junk Car Removal Services 24/7. When you choose Metro Car Removal, you choose a ‘Car Removal’ Company that is a professional Auto Buyer. Our team includes Car Appraisers with years of experience, removal technicians that work around the clock, and courteous customer service representatives that are there to provide information and answer questions vehicle owners may have. We take a great deal of pride in providing fair and accurate cash offers, and services that are quick and convenient. For more information on our Car Buying, Wrecking or Removal Services, contact us today. We can be reached at 0422 600 833 or by completing our “Get a Quote” form at the top right of this page.